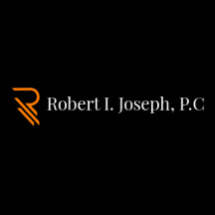 At Robert Joseph Attorney at Law, we offer full-service legal counsel for individuals, families and businesses in Texas. Our law firm in Lubbock focuses on business disputes, real estate law and agriculture law — but we're so much more than that. The full scope of our practice includes bankruptcy law, consumer protection, insurance law, international transactions, commercial litigation, simple will drafting, construction disputes, banking law and more. When your business is faced with a contentious dispute, you need counsel with your bottom line in mind. Our principal attorney has owned and operated several small businesses, and understands what's at stake. That is why we design our services to prioritize quick and effective dispute resolution, so you can focus on the growth of your business. In regards to real estate, our primary goal is to help you protect one of the largest investments of your life — if not the largest investment of your life. Whether residential or commercial, we ensure your rights are protected when buying or selling property, and will always stand up for your interests when a dispute arises. When it comes to agricultural laws and regulations, you can't just trust any attorney. Our principal attorney has an extensive background in cotton exports, as well as in the trading of commodities in the agricultural industry. He has even acted as an expert in the cotton industry during agricultural disputes. That is why so many of our agricultural clients and businesses trust Robert Joseph Attorney at Law. Our diverse background in both business and law gives us a unique perspective into every case, and allows us to offer practical legal solutions that meet all of your needs. Call our law firm today to learn more about our services and get started with a skilled attorney.